Entries from Digital Intelligence tagged with "google plus"
Google has hired Chris Poole, the creator of controversial forum 4Chan, as part of its social network team. Google has updated the look of Google+ as it looks to respond to user feedback and put "Communities and Collections front and centre" than mimics the likes of Reddit and Pinterest. 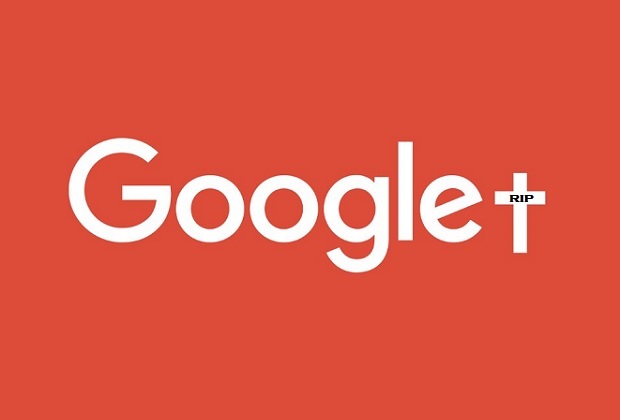 Google+ profiles will no longer be required to access the other Google products such as YouTube, Search and Maps, after admitting the social network was ‘confusing’ users. Google is shutting down Google+ Photos to make way for its new standalone Google Photos app that went live just a few months ago in late May. Google is splitting Google+ apart, breaking the social network's photo element away from what it's now calling "Streams." Facebook now drives nearly 25% of the web’s traffic, with YouTube losing out the most, according to new research. Facebook is leading the race to own customer identity, accounting for more than 60% of all social logins, as the social network and Google look to boost their consumer data. •	Young upstarts breakthrough: Instagram bigger than Twitter as more visual and mobile friendly social networks (SnapChat, Line, WeChat) get user numbers in the hundreds of millions. •	Dark social still untracked: More web content is shared via pasted links in emails that via Facebook and all other social networks combined- but how can brands account for this? Facebook is the main social media source of traffic to other websites by a huge margin, but Pinterest is now in second place, according to new research. Google+ has finally ditched its Authorship experiment this week, meaning that search results will no longer display an author’s name with retrieved articles. Google has dropped its requirement for people to use their real names on its social networking service Google+ and its video service YouTube, in a move that suggests the web giant is scaling back its social media ambitions. Last month, Google made the controversial decision to remove Google+ author photos from search results. Now, new research suggest that the move has substantially boosted clicks on AdWords ads as users are less inclined to click on organic ads without photos. Back in June 2014, Unilever's Dove hosted a debate on beauty at Selfridges flagship Oxford Street store that was be broadcast live on Google+ via a promoted post, as part of its "campaign for real beauty" activity. In a surprising move, Google is dropping profile photos and Google+ circle counts from its search listings, as the search giant appears to be dialling back on its social media strategy. A study analysing social commerce strategies of Top 100 Global Retailers shows failure to convert social media into sales, with Tesco the only advanced retailer using social as a sales channel. Google+ could soon be facing serious cutbacks that will see an end to forced integration with other platforms, dramatically cut division resources and a shift to Google’s fast-growing Android mobile platform, according to a news report. Vic Gundotra, of the key figures behind Google’s social network, is leaving the company. As the fourth season of popular HBO fantasy series gets underway, this video from Hootsuite reimagines the warring houses as social media platforms. The value of a social share: How do Facebook, Pinterest, Twitter and others compare? A share on Google+ provides most value to retailers, valued at $5 each, but email is still the most valuable channel for retailers, according to new research. Instagram is growing the fastest of all social media sites worldwide, followed by Reddit, while Facebook’s global audience fell 3% in 2013, according to new data. Google has admitted its YouTube site has become riddled with spam after it switched to compulsory Google+ logins from users to comment on videos.